Maude sent me the latest issue of her zine Marmalade Umlaut and a back issue where she talks about her tattoos (inspired by a zine entry I did!). They kept me entertained over last weekend! Zines on the couch with some tea is nice! Both zines focus on what Maude is up to, food she is eating and her love of farmer's markets. She hand writes her zines and includes comic styled panels in each one. You can buy the zines and read her blog at Food Feud. Maude actually will be giving the next issue of my zine some NY love with her take on the best places in NY. 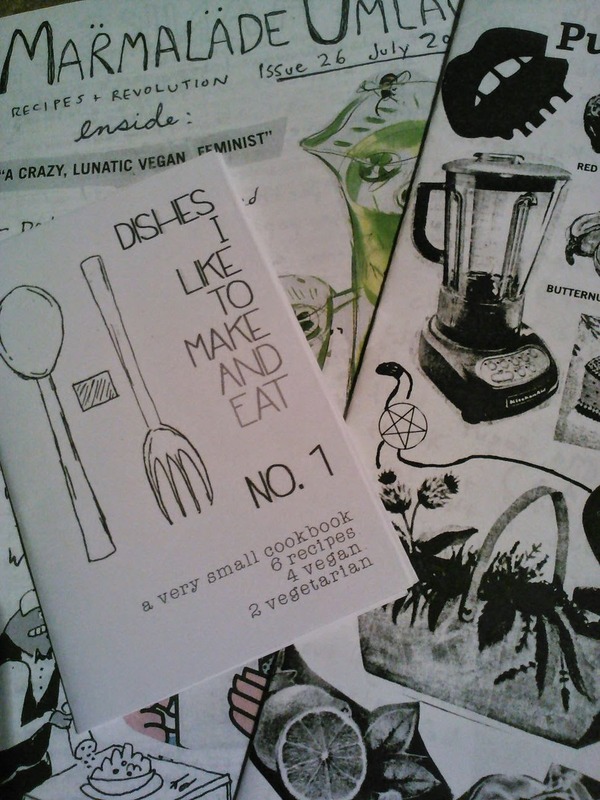 Dishes I like To Eat And Make is a cute lil pocket sized zine packed with flavor. 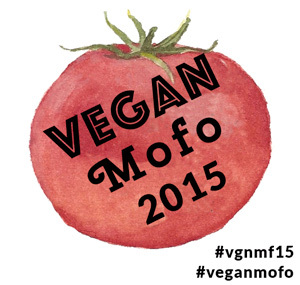 Most of the recipes are vegan, the other 2 vegetarian but could be made vegan if you tried! The clean style and font choices make Brandy's style stand out! $1 gets you this fun zine! You can buy the zine via Brandy's Etsy Shop .